Daily news reports confirm that the overall crime rate in Jacksonville continues to rise. That?s why business owners and residents are installing high-quality security cameras, CCTV and video surveillance systems to secure their families, businesses and property. Southeast Telephone and Intercom Company, LLC is a leader in providing video surveillance and security cameras. We should be. We?ve been serving commercial businesses, healthcare facilities and private residences since 2000. 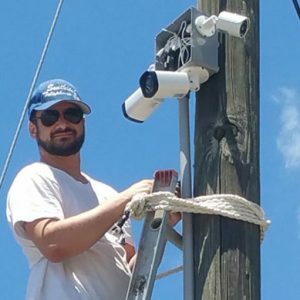 Our expertise in computer networking and extreme attention to detail enable us to install complete camera and DVD systems that look good and perform as intended every time. Southeast Telephone and Intercom?s security camera systems bring you real-time views of your home or business on your phone, computer or other mobile device wherever you are. Southeast Telephone has been our go-to team for telephone, computer and communication needs for fifteen years. I’ve found the company to be responsive, creative and economical to work with on both telecommunications and IT network projects. I highly recommend them for any installation or repair needs. We have a wide array of video surveillance systems to meet any budget. You can upgrade as your business grows. Together we’ll determine the right system to meet your specific needs. With video surveillance from Southeast Telephone and Intercom, you can feel confident in protecting your home or business and rest assured you’ll have the information and evidence you need should something happen.